Board-certified diagnostic radiologist, George Ripeckyj, MD, joined the Winona Health medical staff. Dr. Ripeckyj is certified by the American Board of Radiology. He earned his medical degree from Southern Illinois University School of Medicine in Springfield and completed his Transitional residency and Radiology residency at Saint Francis Hospital in Evanston, Ill. He completed a fellowship in Neuroradiology at the University of Texas Health Science Center at San Antonio. 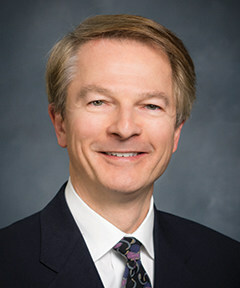 He is a member of the American Roentgen Ray Society, which is the first and oldest radiology society in the United States, the Radiological Society of North America and the Ukrainian Medical Association of North America. Information about Winona Health, Dr. Ripeckyj and other healthcare providers is available online at winonahealth.org.